Smile LA Dental (Los Angeles) - Book Appointment Online! When you visit our office, your Smile and your Comfort is our top priority. 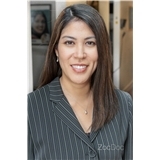 You will be attended by Dr. Maia Montoya and a friendly team of professionals who will take a sincere interest in you. At Smile LA Dental, we provide a comprehensive approach to care for both adults and children, including preventive, cosmetic and advanced restorative dentistry. Part of our commitment to serving our patients involves providing information that helps them to make more informed decisions about their oral health needs.